Four Star Industries is the ideal source for HDPE products and accessories for the electrical power industry including investor owned utilities, electrical co-operatives and electrical municipalities. 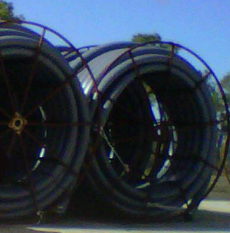 Four Star Industries is seeking a RUS/USDA listing and will meet all ASTM specifications for SDR, SIDR and NEMA rated duct. Four Star Industries HDPE will be available for UL listed UL 652-B which is ideal for the protection of cables and wires.